We are inundated with stories of successful startups and their founders. But sometimes — and in fact, most times — a startup just fails. There are stories here too, stories that are worth telling. Here’s mine. Jasper Diamond Nathaniel, Entrepreneur, in Airplane Mode. We are inundated with stories of successful startups and their founders. In this narrative, failure is shown primarily as a prelude to success, setting the stage for redemption — the founder overcomes massive odds story. But sometimes — and in fact, most times — a startup just fails. Barring a spectacular fall from grace, coverage of these failed startups is often reduced to a few sad paragraphs in TechCrunch. But there are stories here too, stories that are worth telling. Here’s mine. Whose company were we really building? I’d spent my entire career working at early stage startups and had developed an itch — no, a dream — to build something myself. Matt and I had long talked about starting our own thing, regularly pitching ideas back and forth, and in 2016 he was approached by a group of well-known investors. 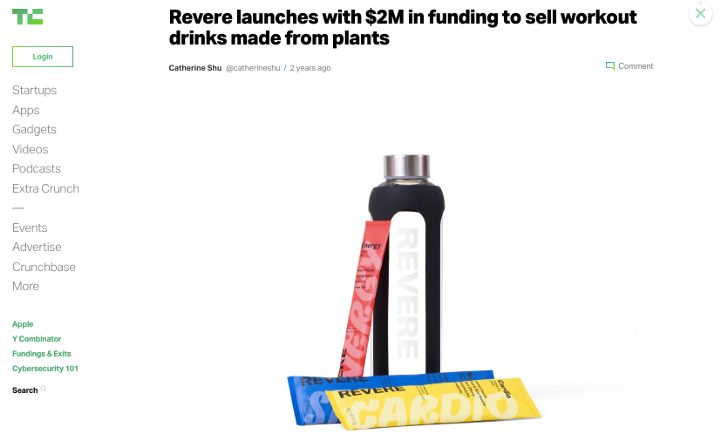 They weren’t looking for his ideas; rather, they were on the hunt for an operating team to launch a business that was already being incubated: Warby for sports nutrition, or, said another way, We’re going to burn GNC to the ground. They chose Matt to be their guy, and he asked me to join. I was pretty sober and honest with myself (and him) about it. No, I wasn’t passionate about sports nutrition, and this didn’t exactly feel like mine — but I believed in the opportunity, and I thought the mission was a good one: building a better supplement company, one with transparency and integrity at its core (Hell, I’d be a customer). Most importantly, here was my chance to start a company — how could I pass it up? I joined (as COO), and we quickly brought on Alex (as CMO). She was the perfect complement — unlike Matt and me, she had extensive experience in the health & wellness space. I could already see the three of us on the cover of Fast Company. The Revere founding team (from left: Matt, Alex, me). I was 28 when we started Revere. Three years later I have significantly more grey hair. There were competing visions from day one, and in hindsight, it’s clear that we never fully reconciled them. 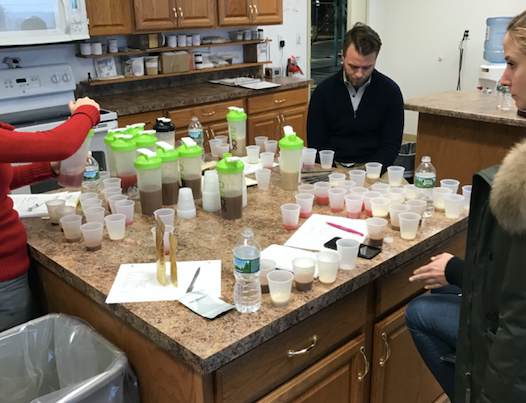 One of the investors had come to the table with an existing asset: a renowned human performance expert, Mike, who’d already developed a line of safe sports nutrition products (technically speaking, this was the actual corporation that we’d be “starting”). Their vision was to build out this existing line and create the go-to supplement company for professional and elite athletes. This was more than just a “competing vision,” though — there was concrete pressure for us to go in this direction despite the fact that Matt, Alex and I were less than enthused about it. Alex thought we should become the GNC for the studio fitness consumer (or the “SoulCycler,” if you will). And I wanted to create a product line for people like me — the longtime GNC goer who’s grown tired of sketchy products and is looking for healthier options (“I’m ready to replace that giant tub of pre-workout on top of my fridge”). And then there was Matt, whose unenviable job was to reign in all of the visions and forge a viable path forward. 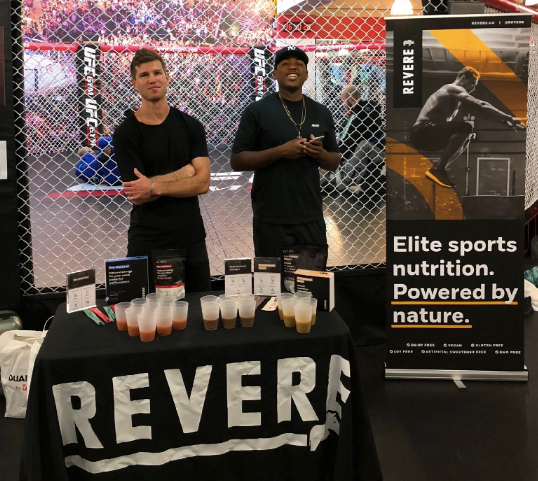 We rebuilt the products to cater to the reformed supplement user (from my vision), as opposed to the elite athlete (which Mike’s original line catered to). Our origin story, though, still spoke to our heritage in elite athletics (Mike’s vision). And our brand and marketing targeted the studio fitness consumer (from Alex’s vision). Now, there’s certainly some logic to this. The products struck a nice balance between efficacy and health (all-natural but built for performance). All athletes are aspirational, so putting Mike and his experience in elite athletics at the center of the story made sense (à la Nike and MJ). 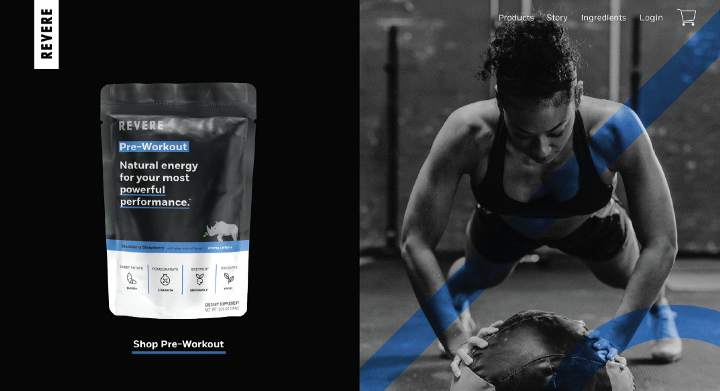 And there’s just a hugeamount of white space in the studio fitness market — the new breed of fitness consumer has rarely if ever dabbled in sports supplements before, a gap we looked to fill. It’s not to say that we thought we could be everything to everyone. It’s more that we didn’t have a singular vision, a north star, that kept our organization moving in lockstep. We were a bit too fast and loose in the partnerships we forged, events we hosted. The press that we drove across different types of media outlets (tech versus lifestyle versus health & wellness) didn’t stick to a clear, consistent message. Our buying model (personalized subscriptions) wasn’t totally compatible with our consumers’ buying habits. And we tried to compensate for all of this by pouring money into paid marketing channels. TechCrunch headline on launch day. So what did that net us? A mediocre launch, mediocre growth, a lot of money spent, and major identity issues. Five months into our launch, our investors were (rightly) unsatisfied with our progress and direction. Now, most start-ups don’t get it right out of the gate — the search for product-market fit is known to be an iterative, experimental pursuit and most great businesses are defined in that murky period of trial and error. But that wasn’t in the cards for us; as we worked to right the ship, a faction of the board began second-guessing many of our decisions, particularly those that went against their preexisting vision for the business. They demanded wholesale changes — a demand that quickly transformed into a huge amount of pressure applied directly to Matt and Alex. 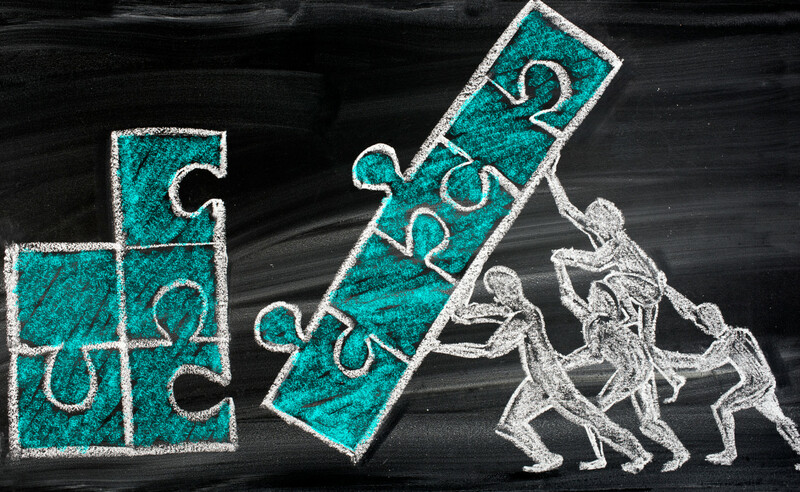 The way the board was structured, this one faction was able to overrule our other investors and board members, many of whom supported empowering the founding team to work through the changes ourselves. Less than six months after our launch — without the support of the board and facing impossible headwinds — both Matt and Alex left, and I was handed the keys to Revere. Why was I the one effectively left in charge of Revere? Perhaps the board saw something special in me that made me the right choice — that’s certainly what my mother would like to think. More than anything else, though, it was a simple process of elimination. Alex had been running marketing, the easiest thing to blame when sales aren’t going well. Matt was the boss, so he was going to take the brunt of it regardless. And somebody had to be kept around to keep the machine running — as COO, that was essentially my job. But in reality, I felt every bit as much to blame for our struggles as Matt or Alex, and I had strong feelings of survivor’s guilt. We’d been through this roller coaster together, and suddenly, they were both gone. I could write another essay entirely on this, but I’m going to spare you the details here. I’ll just say that as painful and difficult as that time was, if there was an ounce of resentment from Matt or Alex, it was never shown. I’ve got nothing but love and gratitude for both of them (and we’re still friends). Okay, so we’re 1.5 years into starting the business, six months into launch, and I’ve been asked to take over. Simply put, my job was to sharpen the vision, pivot and rebuild the business, and find that rocketship growth that VCs are so fond of. It felt like an impossible task, and I nearly quit. I asked myself, how did we get here? Competing visions, overcompensating for lackluster sales with paid marketing, and an unhealthy dynamic between CEO and board. If I could address these issues, maybe this thing had a shot. I talked it over with my friends and family and decided to go for it. Finally, something that never felt like mine could become mine. I put together a thirty-slide deck that showcased my vision, and how it would extend across every facet of the business. We’d hone in on the frustrated (or lapsed) sports nutrition consumer who’s tired of choosing between the sketchy, powerful products from GNC and the healthy, crunchy stuff from Whole Foods. Our new product statement would be Elite Sports Nutrition, Powered by Nature, and our brand would feel both premium and gritty. Our line would gradually expand beyond sports nutrition, into healthier versions of a wide array of functional products. I made it clear to the board: take it or leave it — there could only be one vision, so I’d only take this on if there was 100% buy-in. To my surprise, I received it, with the caveat that they’d be looking for a seasoned executive to partner with me. I was totally on board with this (I’d take all the help I could get), but it never came to fruition. At this point it was just myself and Arielle, our Director of Ops. We spent eight months rebuilding everything — our products (added flavors, changed packaging form), brand (from trendy and cute to edgy but refined), website (pivoted from a subscription model to more traditional e-commerce), marketing strategy (shifted from paid to earned growth), and team (grew to 6 FTEs). We relaunched, and that first month was the best month we ever had, with zero dollars in marketing support. Revere 2.0 website, packaging and branding. Finally, things were looking up. The team was excited, motivated. We were getting great feedback from customers, new and old, about everything from the new flavors to the new brand and packaging. It seemed that we’d achieved product-market fit. Most importantly, numbers were trending in the right direction. Keith and Miles hosting a sampling event. Except for one — money in the bank. We’d burned through nearly all of our seed round, most of which had been spent prior to the pivot. We were not in Series A territory, so we’d need to raise a seed extension round. One of my investors, Andrew, rallied behind me and the company’s turnaround by stepping up to create a term-sheet and commit a meaningful investment from his own fund. We quickly received commitments from other existing investors, but the group was already overleveraged, so we’d need to bring on some outside funding as well. The inside funds brought us to $1.3 million, and it was agreed that we’d need to bring on at least $2 million to have a real shot. Completely new to fundraising, I went into the process confident and enthusiastic. It quickly became a full-time job on top of my other full-time job of running the company. The tone was set right away; I spoke to nearly 100 investors and heard some version of the same thing every time: “Very impressive turnaround, but given the history and financial situation, this investment is too risky for us.” After weeks and weeks of this, feeling completely drained, I found myself manufacturing enthusiasm in every pitch meeting. With three months of runway left I stopped taking a salary. Sales continued to steadily climb, but we had no money to spend on marketing and we weren’t close to being profitable — plus we still had a significant amount of outstanding debt from both our original launch and the relaunch. Doing my best to broadcast optimism, there was a stark contrast between the energized vibe in the office, and how the fundraising process was going, not to mention what I was feeling inside. He wasn’t telling me that it was over, but he was telling me that it could be over. For months I’d been telling myself that I couldn’t let Revere fail, it wasn’t an option, there was too much riding on this. My conversation with Ben shook something loose in me, and I went home and broke down. I was so f*cking exhausted, physically, mentally and emotionally. I’d barely been sleeping. My mood had been completely unstable — I was living and dying with every investor meeting, every uptick and downturn in sales. I was neglecting friends and family, and my relationship was failing. And I was lonely. Feeling the need to keep a strong front, I had walled myself off, hiding my inner turmoil from my employees and investors, and avoiding talking about it with people outside of the business who I was sure just couldn’t understand. I’d been telling myself that this was all normal, this was part of the entrepreneurial journey, but suddenly it all caught up to me. I tried to dig deep and find something to help me keep fighting, but I came up empty — any passion once there had now been sapped. I wasn’t sure I could push the boulder any further up the mountain. I went home and drank whiskey by myself in a dark room. You spend every waking minute trying to realize your dream, and then one day it just hits you — it’s not happening, at least not now. My peers have insisted to me that there’s no shame in it. I’m reminded that Steve Jobs, Walt Disney, Oprah Winfrey, and so many others failed countless times before seeing real success. Sure, intellectually I know this, but for some reason it doesn’t lessen the sting. I do feel shame in having let so many people down — my employees, investors, and of course, myself. There was no “getting right back on the horse.” I’ve had to stay down for a while, try to heal. About two months after this all went down my brother and his wife had a healthy baby girl, Zoey, and I became an uncle. 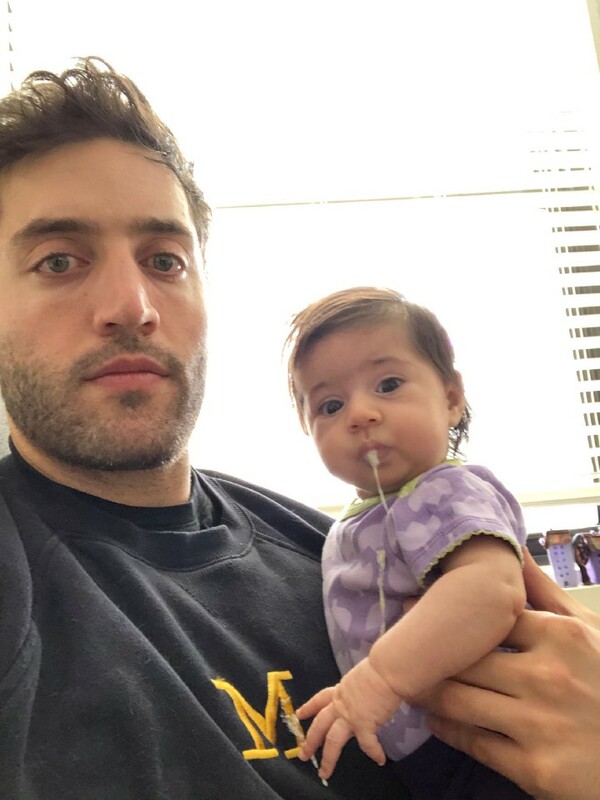 With plenty of free time on my hands, I’ve learned how to change a dirty diaper, and have even earned the privilege of babysitting from time to time. I did some traveling and began reading and writing again — two longtime hobbies that I’d all but abandoned. I spent two days knocking on doors in a NJ swing district to help flip the House, and I became more involved in helping my Little Brother, Chris, deal with the challenges of his sophomore year of high school. Perhaps most importantly, I unsubscribed from How I Built This and a number of other startup-related podcasts, and began listening to music on the subway again. Sometime during these past few months I’ve been able to separate my full identity from my “founder identity,” a feat that can be reallyhard for us entrepreneurial types to accomplish. A very milky Zoey and me. Would we have succeeded if we’d had a unified vision from day one, across the board and entire team, that informed every last decision that we made? Would I have kept fighting at the end if I’d felt more passionate about and more ownership of the idea/business itself? Both can be boiled down to: whose company were we really building? The answer to each, unfortunately, is I don’t know. But here’s what I do know — next time I start a business, I won’t have to ask myself these questions. To get through the hard times — a pit of self-doubt and loneliness — you need complete and utter belief in what you’re building, and a board that’s fully behind you and your vision. Any other way and there’s just no point. For more of my work, please follow me on Twitter and check out my website.